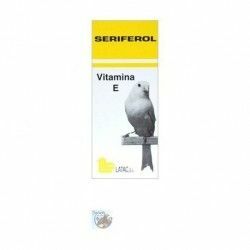 Nekton S vitamin supplement for birds in thepetshopboys.it is the shop of your pet. 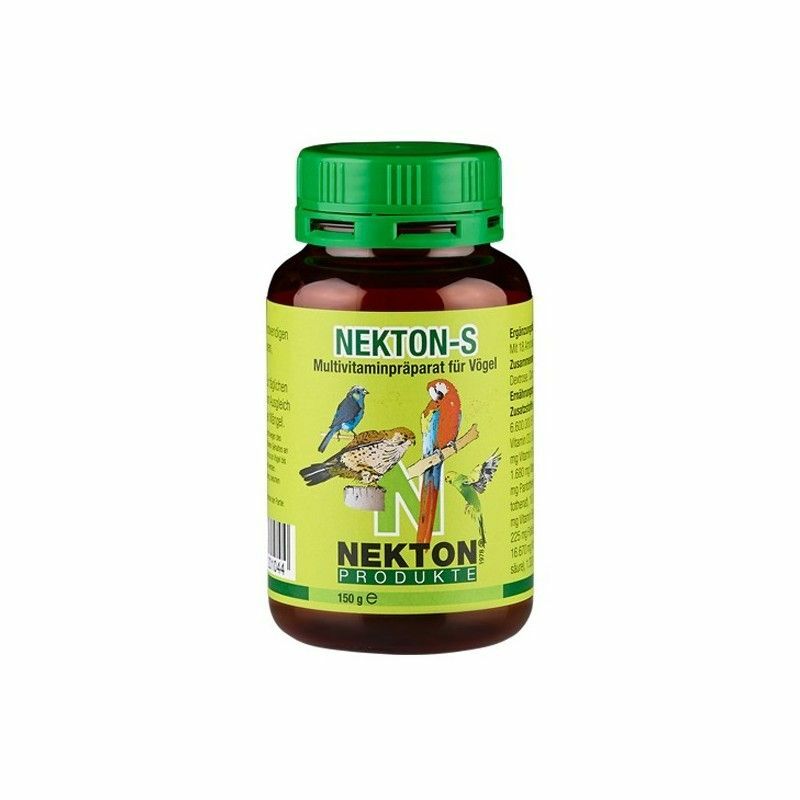 Nekton S is a multi-vitamin supplement enriched with amino acids and trace elements for all kinds of birds. 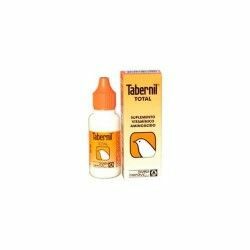 A balanced mixture of substances effective to increase the nutritional value of the food. NEKTON S has been used successfully for years by fans of the birds, zoological parks and, primarily, by aviculturists. 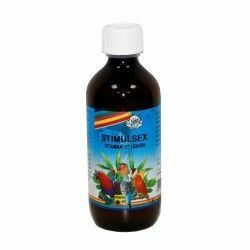 In all this time, NEKTON S has been proven to counteract the effects of the move, changes of cage, diseases and medical treatments, as well as to enhance the resistance to disease. 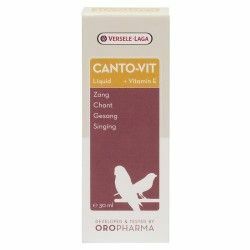 Vitamins are organic compounds vital to acting in small amounts. Each vitamin plays a specific role in the body. Some are essential for the transformation of the energy, while others regulate the metabolism of the different structural units( cells, membranes, and bones). When a particular vitamin is missing, displayed a variety of abnormalities and diseases, to a variable degree. The deficit of a vitamin can cause stunted growth, and reproductive disturbances, as well as a decrease in performance. The body is unable to synthesize many vitamins, which is equivalent to say that must be present in the diet. 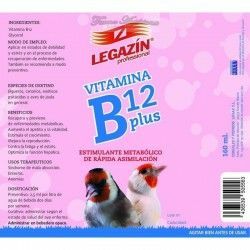 In the case of birds even the seeds of good quality can be deficient in some or all of the vitamins. The diet should be enriched daily to ensure a regular intake of essential vitamins. Proteins are the "bricks organic" of the agency. Next to carbohydrates, lipids, vitamins, trace elements, and water, proteins are the food components that are decisive for the organism. Basically, proteins are important as a source of amino acids, which the body can build its own proteins-structural and functional. 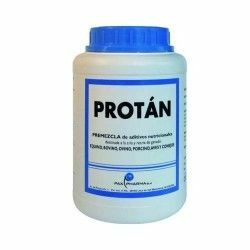 In the digestive tract, dietary protein is digested or hydrolyzed, producing amino acids that are absorbed and used in the construction of proteins needed for the body. Proteins consist of one or more chains and are formed by approximately 23 amino acids. However, the organism is unable to synthesize some amino acids at a rate sufficient to satisfy their physiological needs, so that these essential amino acids must be present in the diet. The biological value of a protein is given by the number of essential amino acids it contains. 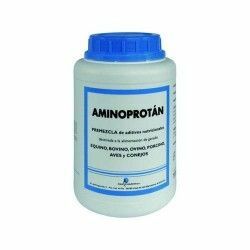 On the other hand, the quality of a protein depends on the variety of the amino acids it contains and the proportions of the essential amino acids is close to the physiological needs of the species in question. In this way, the quality of a dietary protein is limited by the presence in their "protein chain" of an amino acid whose content is inferior to the needs. Therefore, the body can not synthesize enough of their own structural proteins and functional. In adult animals the symptoms of a vitamin deficiency include decreased performance and production, which in birds results in a bad plumage. NEKTON S contains 18 essential amino acids in the configuration L (existing in nature), which facilitates its assimilation. 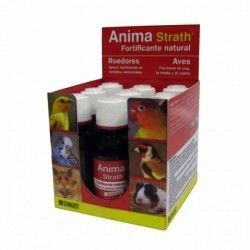 The amino acids present in NEKTON S has been formulated to provide the organisms a sufficient amount of construction material to build its own proteins. Any fan of the bird knows that life cannot be sustained without a regular intake of inorganic elements to the body. The essential minerals are critical to skeletal structures such as bones and teeth. Play a role in the regulation of acid-base balance and serve to maintain and regulate the colloidal system. Some minerals are components or activators of enzymes and/or other systems or biological units, e.g. iodine and iron in hemoglobin. In summary, we can say that the trace elements act as building units of the skeleton or as regulators of body processes. 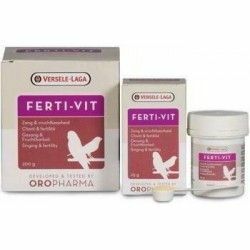 Therefore, its regular intake is especially important during periods of growth. - Never exceed the daily dose. - Must be used on a daily basis. - Must be added to the water or the food. 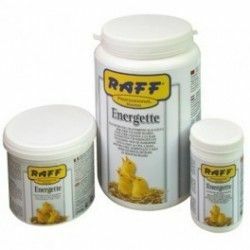 The spoon included in the container has room for 1 g of Nekton S. Add 1 teaspoon rasera per 250 ml. of water. If you have only one or two birds, practice a small hole in the aluminium cap and drop a small amount on the water of the fountain or on the food. A small amount is very effective. 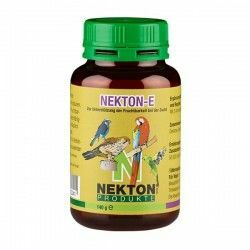 Use NEKTON E along with NEKTON S to get a better fertilization. If You follow these tips you will be surprised the reproductive outcome you will achieve. - Nekton S should not be used during incubation as this can be interrupted because of an unbridled instinct of mating by the male. - Keep in a cool, dry and dark. In a see unopened and stored under appropriate conditions, vitamins contained in Nekton Sdo not lose their properties until the expiry date. 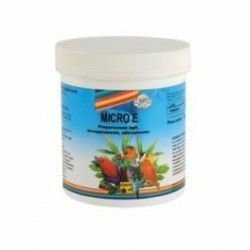 - As this supplement contains more vitamins D and trace elements that the I think full, only should be added to the 10% of the ration daily to the ave.
- As with all products rich in protein, special attention must be paid to hygiene when Nekton-S is added to the water in the drinking fountain. The solution should be changed daily, but prior to the drinking fountain or water dispenser must be cleaned and disinfected thoroughly. Vitamin A, Vitamin D3, Vitamin E, Copper, Zinc, Vitamin B1, Vitamin B2, Pantothenate D-Calcium, Nicotinamide, Vitamin B6, Vitamin C, Vitamin K3, Vitamin H (Biotin), manganese, zinc, copper, iron, iodine, calcium, and phosphorus. Moisture CONTENT of 13 Vitamins. - 18 Amino acids. - Minerals. 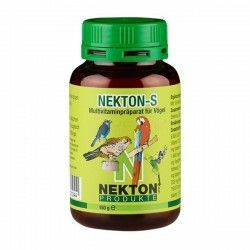 Description: NEKTON S has been formulated to meet the requirements of vitamin a standard of ornamental birds. NEKTON S has taken into account the needs of the birds and contains a balanced blend of minerals and trace elements.